In 1850s China, a young girl, Peony, is sold to work as a bondmaid for a rich Jewish family in Kaifeng. Jews have lived for centuries in this region of the country, but by the mid-nineteenth century, assimilation has begun taking its toll on their small enclave. 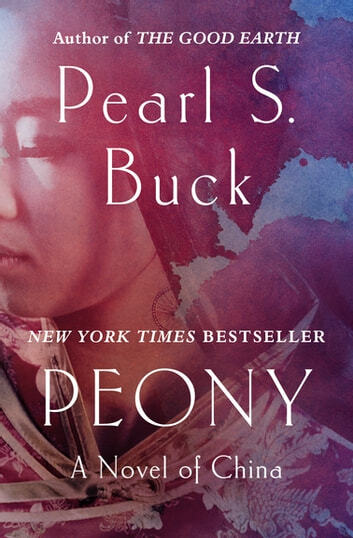 When Peony and the family’s son, David, grow up and fall in love with one another, they face strong opposition from every side. Tradition forbids the marriage, and the family already has a rabbi’s daughter in mind for David. Fabulous book. So interesting to learn about the Jews in China. This is the second novel of Buck's I've read, after Pavillon of women, and I found this a much easier read. PoW became long and tedious towards the end. This novel focuses on a local community and their stories, showing the conflicting urges of the young members of an immigrant family, five generations later, to remain faithful to their cultural and religious heritage or to assimilate. But with a unique twist in that they are Jews in China. I really enjoy learning about history through fiction and would highly recommend this novel to anyone looking for an engaging story set in a foreign land, in a foreign time. This was a very good novel about Jewish history in China. The author was very detail oriented without beng boring. The characters were very real to life and this was a book I could not put down. The book tells about life in China during the late 19th century. The book is well written in that it tells how the Jews were marrying into the Chinese population, and how different their religious beliefs were. I found it very interesting. 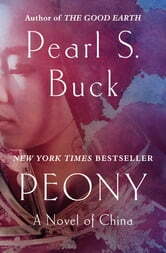 Pearl Buck is an informative writer, easy to read.